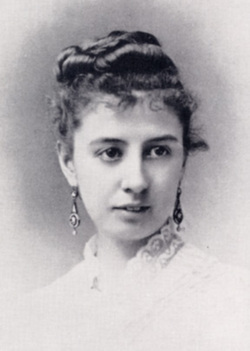 Flora Stone Mather (1852 – 1909) is one of Cleveland’s greatest philanthropists. She was the daughter of Amasa Stone, who made his fortune in the railroad industry. In 1881 Flora married Samuel Mather, a titan in the shipping industry. Flora Stone Mather shared her wealth generously. She was a supporter of the Legal Aid Society, the Consumers League of Ohio and Western Reserve University (WRU). The College of Women at WRU was renamed the Mather College in her honor for all that she had done to support it. She was a life long member of the Old Stone Church on Public Square in downtown Cleveland. In her will, she included bequests to over 30 religious, educational, and charitable institutions. Tours of Cleveland, LLC offers exciting and educational walking tours of beautiful and historic downtown Cleveland. See our current schedule and book your tour here.